April is National Pet First Aid Month and I realized that I need to be better prepared to protect Indigo & Lily. Did you know that dish soap will effectively remove toxins from your dogs coat and skin? I didn't! The American Red Cross has a great article on their website with lots of tips and guidance for first aid, emergencies, heat stroke and other hazards. Click here to see post. PetMd.com features Ten Items For Your Pet First Aid Kit on their website and it's a great checklist reference. I've added this to my priority to-do list! 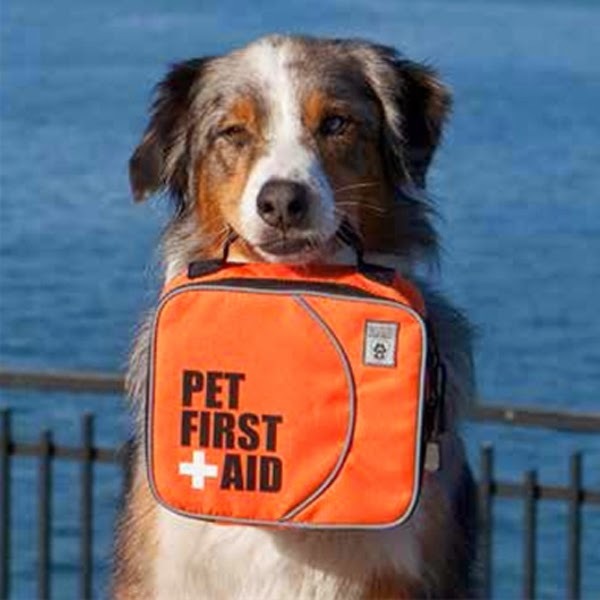 You can also purchase a pet first aid kit like the one pictured above on amazon.com. 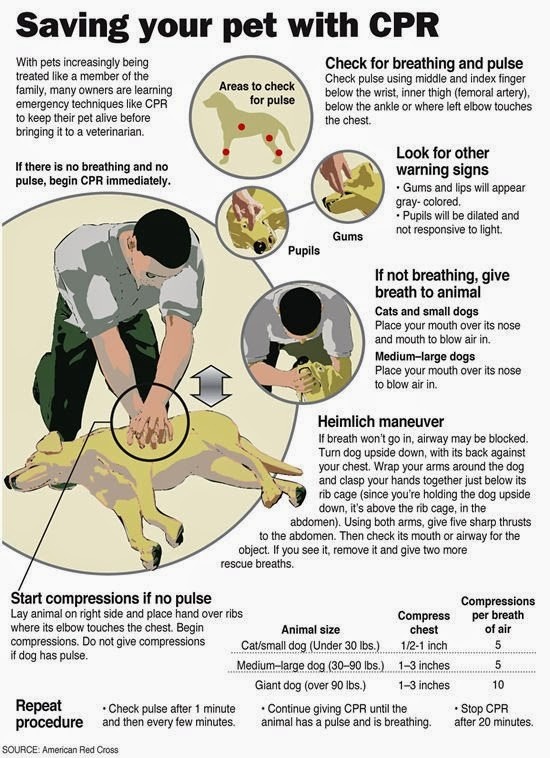 And, finally, here's a great graphic instructing how to give CPR to your pup ... just right click on your mouse to save it to your computer and print. Happy Dog Lovin' & Dog Protectin'! Wonderful info graphic. Honestly not all pet owners know how to do a first aid on their pets and this post will definitely help everyone to understand how to do this. Thanks a lot. Thank you Leslie! Awareness is so valuable for pet owners and I've always felt visuals are more impactful. I'm grateful to the American Red Cross for publishing this info graphic and am sharing it every chance I get!